The unexpected happen. A bad computer update, adware, viruses, crashes, and simply using your computer will take a toll on the performance of your computer. Often, a good cleaning is all that it takes to get a computer back up to speed. We can restore the performance of your computer by checking for and removing viruses, spyware, security holes, software conflicts, as well as add operating system patches, remove unnecessary programs, etc. We will optimize your system so that you get every last bit of performance from your computer. Faster wired/wireless network equipment and range extenders including powerline and MOCO. 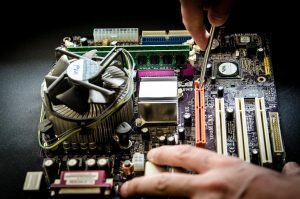 For your convenience, we come right to your office or home to perform the upgrade/repair. You don’t have to touch your computer.